A Pennsylvania legislator is moving forward with a comprehensive bill to legalize recreational marijuana. Rep. Jake Wheatley, D-Allegheny, reintroduced updated adult-use cannabis legislation that he had first sponsored last September. “For too long we have allowed myths and ignorance to prevent a realistic and thoughtful discussion regarding the legalization of adult-use cannabis,” Wheatley said at a press conference on Monday. “In 2016, we passed a law allowing medical cannabis in Pennsylvania. That law was the right step, the first step, but we need to do more." Wheatley has framed the issue as an opportunity to improve criminal justice, bolster affordable housing and relieve the state's student debt burden. He noted Pennsylvania Auditor General Eugene DePasquale projections that legal pot would generate between $500-600 million annually tax revenue for the state. “My legislation builds on the invaluable efforts of so many by crafting comprehensive legislation that would not only decriminalize and legalize adult-use cannabis, but would rectify decades of injustice while investing in the people and future of our commonwealth," Wheatley said. The bill, H.B. 50, already has 26 co-sponsors in the House of Representatives. Nine states and the District of Columbia currently permit recreational use of marijuana, all by referendum. Pennsylvania would be among the first states to achieve marijuana legalization through legislation. In late 2018, New Jersey lawmaker's had been considering that state's own legislation to legalize pot, and the issue is expected to be revisited in 2019. 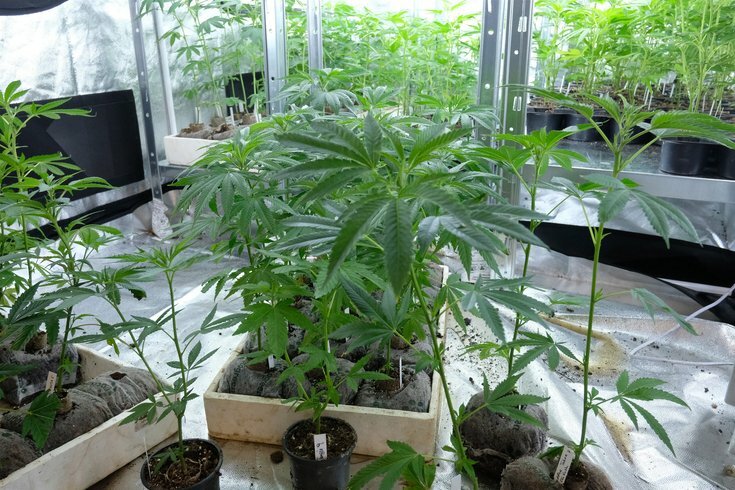 Pennsylvania still is in the process of rolling out and expanding its medical marijuana program, which would likely provide much of the early infrastructure for recreational distribution. Wheatley's bill also calls for the expungement of criminal records and exoneration of anyone incarcerated for marijuana offenses. The bill does not allow for the consumption of marijuana in public and it prohibits driving under the influence of the drug. Pennsylvania Gov. Tom Wolf signaled late last year that he would like to seriously explore the pros and cons of legalizing marijuana. Lt. Gov. John Fetterman will embark this month on a listening tour to the state's 67 counties to gather insights and feedback from residents. Polls in recent years have shown that a majority of Pennsylvanians are in favor of legalizing recreational marijuana. A Franklin & Marshall poll in 2017 found that 56 percent of registered voters would support such legislation, up from 34 percent in 2006. Among the participants in that poll, 44 percent of Republicans expressed support for legalization. Wheatley's own polling numbers put support for legalization at more than 60 percent of Pennsylvanians. “Pennsylvanians have spoken," Wheatley said. "In fact, in a recent poll shows a majority of citizens recognize the once-ugly stigma of cannabis is now just a part of history and want the commonwealth to move into the future. The misconceptions that have been prolonged by those who are stuck in opposition have been debunked. We in the legislature need to do what is best for the people of Pennsylvania and pass this bill."